Markit Economics’ monthly flash services purchasing manager’s index, a preliminary reading on the sector, fell into contraction for the first time in over two years. The tentative February index was reported Wednesday at 49.8. That’s below 50, the border between expansion and contraction. The consensus over the state of the economy had been that gains in the labor market and in consumer spending were propelling growth amid a downturn in financial markets. This narrative has hit a hiccup, however, with this report. The services sector, which covers jobs including bartending and counseling, is essentially having its worst month since the recession. The only exception is when the government shutdown disrupted business activity in October 2013. And because the services sector makes an outsize contribution to US economic activity — about two-thirds — a slowdown here is not good news for the rest of the picture. Many economists expect that economic activity — measured by gross domestic product — will rebound in the first quarter from the fourth. But Wednesday’s data shows “a significant risk of the US economy falling into contraction in the first quarter,” according to Chris Williamson, chief economist at Markit. According to Markit’s release, business activity was slammed by scarce new-work opportunities, as clients lacked confidence in the economic outlook, and snowy weather on the East Coast. 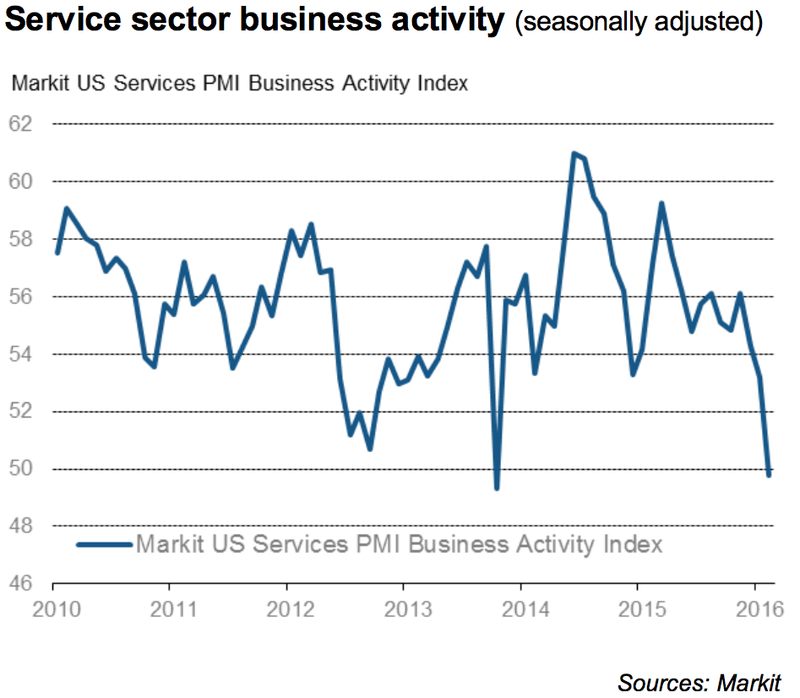 Markit noted that service providers had the weakest business outlook in nearly six years. 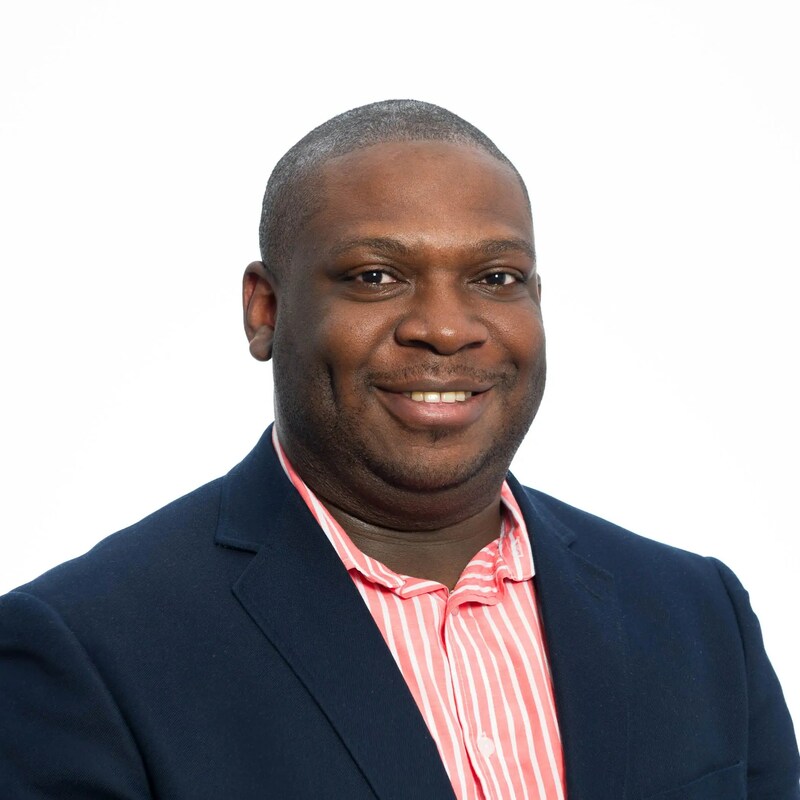 “Slumping business confidence and an increased downturn in order book backlogs suggest there’s worse to come,” Williamson wrote. Economists had estimated a preliminary reading of 53.5, a slight improvement from the prior reading of 53.2, according to Bloomberg. The final reading for January showed that the sector was slowing down, as both Markit’s index and the ISM non-manufacturing composite fell.